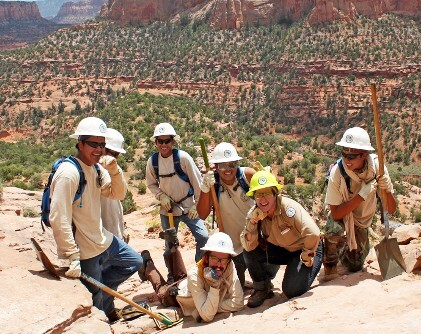 In 2015, ACE's Youth Conservation Corps (YCC) programs educated, engaged and employed high school youth in the Great Smoky Mountains National Park and at Navajo National Monument. 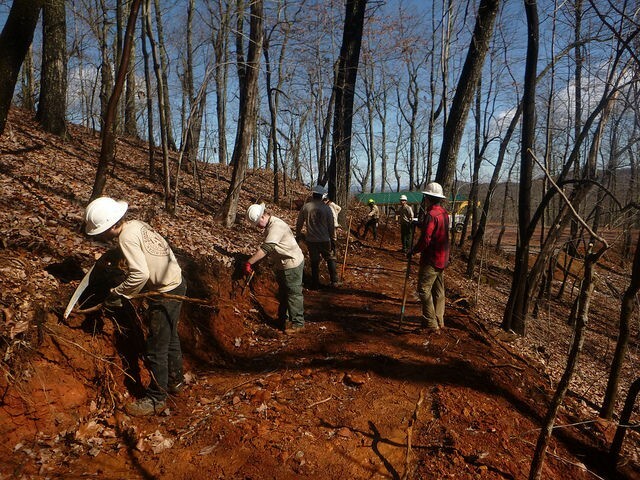 On Wednesday the 17th, crews were nearing completion of the first .42-mile section of the trail up to the ridge line. “Once we cross the ridge line, it’s boulder city. There are massive rocks everywhere. It’s going to be awesome, and so technical. The way the trail is situated is great, because this first half mile has given everyone time to get used to rock work and get some practice in, and then once we get over the hill they’ll have to really put their skills to the test,” said McMullen. 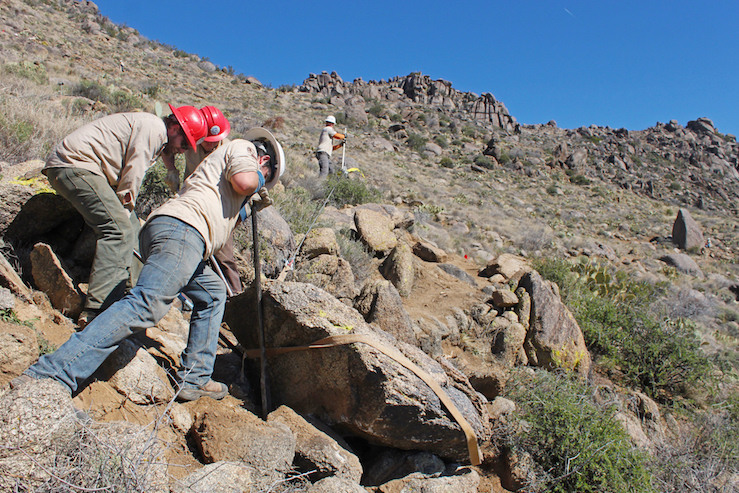 ACE will continue it's coverage of the progress at Yarnell. Little Harbor campground located on Catalina Island is a highly trafficked interior destination with unique character. Tree planting dating back to the 1930s has created a naturalized community of palms and other trees including Spanish sycamore. 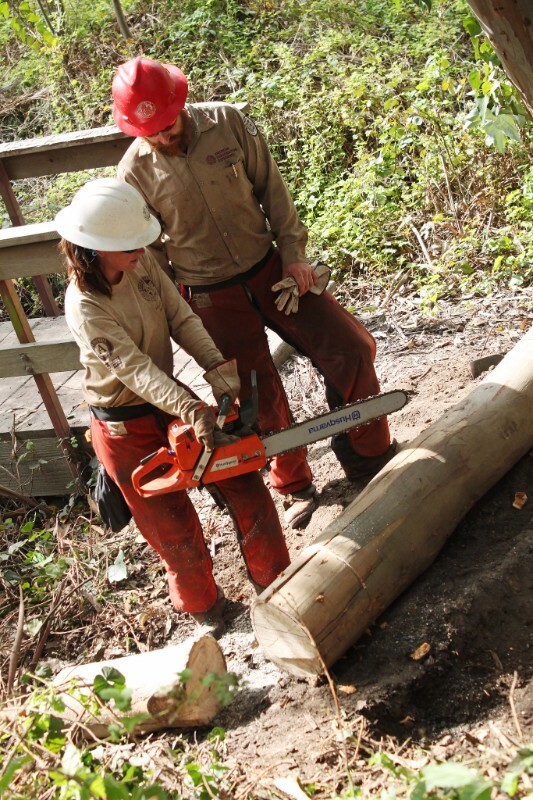 Recent campground enhancements include thinning of existing palms, which has improved safety and usability of the area, though California’s drought has led to the decline of existing sycamores on the island. Additional user impacts such as driving off roads have degraded adjacent habitats. The project proposal includes planting of native toyon and cottonwood to address need for shade trees, define campsite areas and deter off road driving. The character of Little Harbor on Catalina Island is defined in part by Canary Island palms and Mexican fan palms, some that may have been planted in the 1930’s for the set of the film Mutiny on the Bounty (1935). Today, exotic palms and other species have naturalized and provide shade and shelter to many campsites on Catalina Island. Other shade trees, particularly non-native sycamore, have been less successful, likely due to ongoing drought. 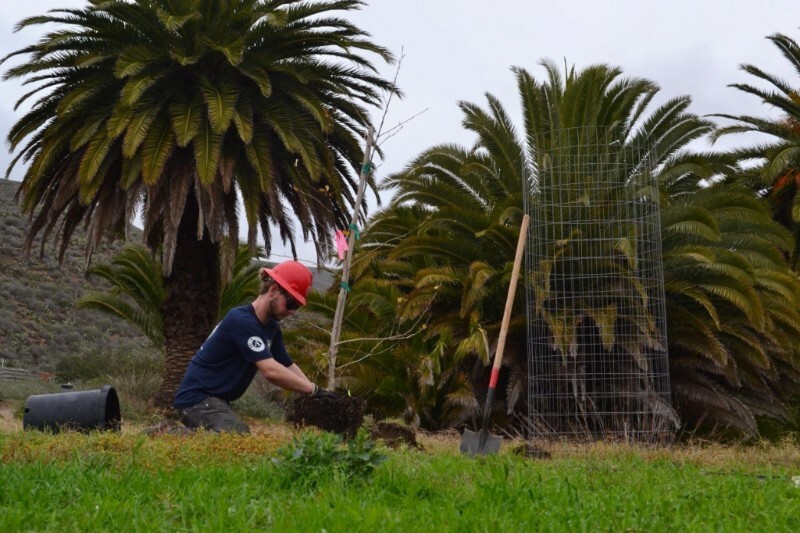 In line with its mission to balance conservation, education and recreation on Catalina, the Catalina Island Conservancy has identified native species as preferable to invasive or naturalizing species for shade and shelter planting. This project uses native black cottonwood in low lying (wetter) areas and toyon on upland (drier) sites. 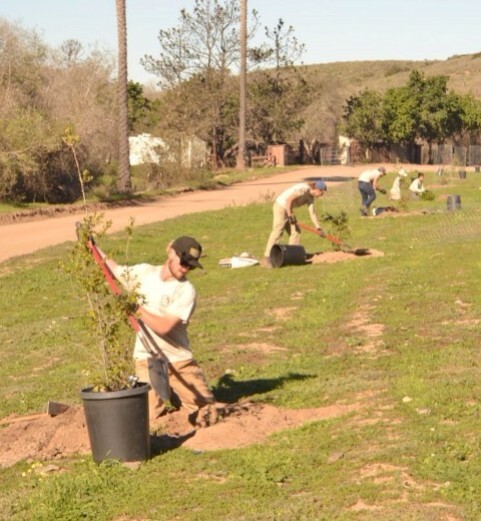 Members of American Conservation Experience installed trees produced at the James A. Acherman Nursery on Catalina Island. 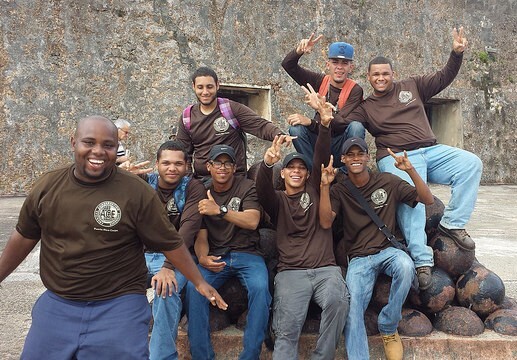 The ACE crew was stationed at Laura Stein Volunteer Camp for the duration of the 5-week project. 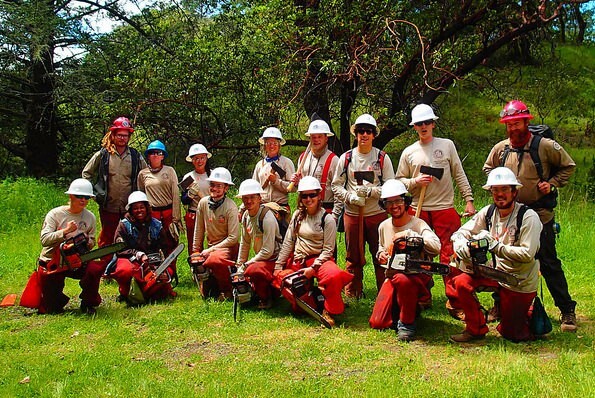 Using primarily hand tools and a gas powered auger, the crew was able to plant 558 trees. Trees were sited in observance of guidelines of the Los Angeles County Fire Department. 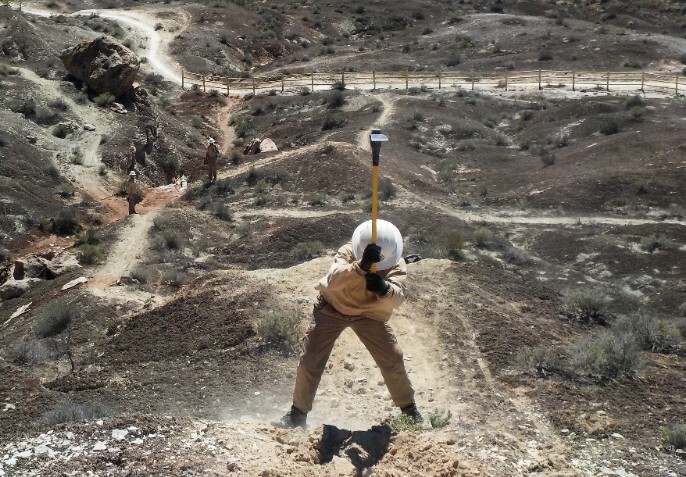 fencing a trail, protecting a species. 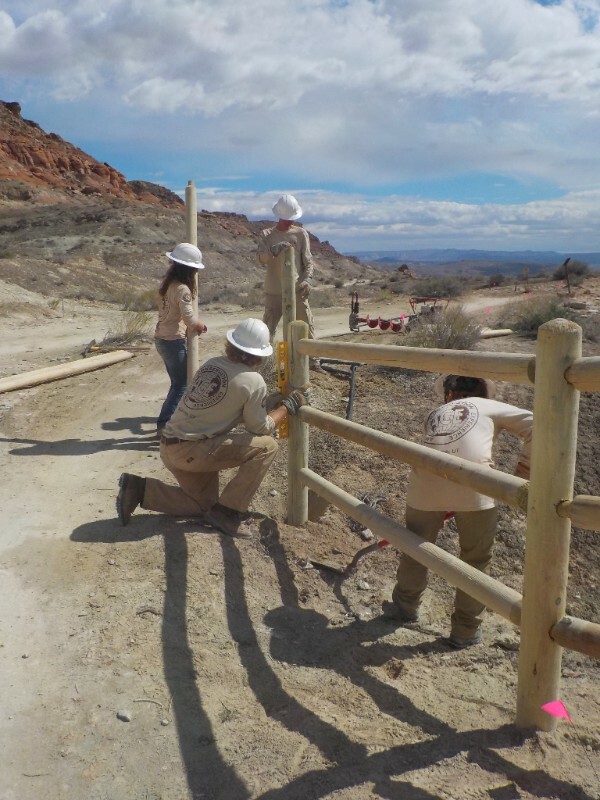 Crews from the Utah branch completed the final phase of a fencing and restoration project this month that began in January of 2015. 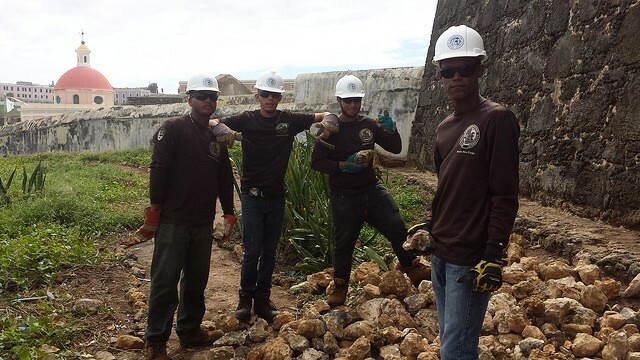 The crew’s work became the physical embodiment of balancing ecological restoration with high intensity recreation. The Bear Claw Poppy trail is one of the most popular mountain bike trails in the St. George area. This trail is only a few minutes from downtown St. George and provides a variety of terrain to excite the novice and test the expert mountain biker. It has become a known as a quick and exciting ride for locals and tourists alike. This trail gets its name from a perennial herb called the Dwarf Bearclaw Poppy (Arctomecon Humilis). This plant is only found in one place in the world, a small valley south of St. George, Utah. The Bearclaw poppy is a federally listed endangered species; only a handful of small populations of the plant exist. The Bear Claw Poppy Trail runs through much of the small valley where the Bear Claw Poppy inhabits, making the heavy use of the trail a concern for this endangered species. 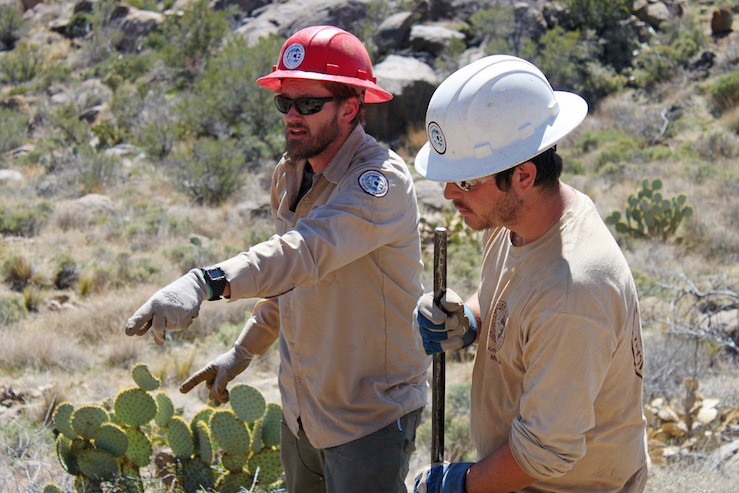 The BLM worked with the US Fish and Wildlife Service to create a plan that would both allow for recreationalists to use the trail while protecting and enhancing the habitat for Bearclaw Poppy plants. The sensitive nature of the area negated the use of mechanical equipment to fulfill the plan, so ACE was brought into the project to bring the plan to life. The crews were brought in to carry fence posts and rails along the existing trails and construct fencing to keep trail users from leaving the trail and damaging the Bearclaw Poppy habitat. This effort was complemented by crews de-compacting existing social trails that negatively impacted Bearclaw Poppy habitat. By the close of the project, crews had installed over 3,500 linear feet of fence and de-compacted over 4.5 miles of social trails. The final result is a project that helps facilitate recreation while still protecting the critical habitat of an endangered species. 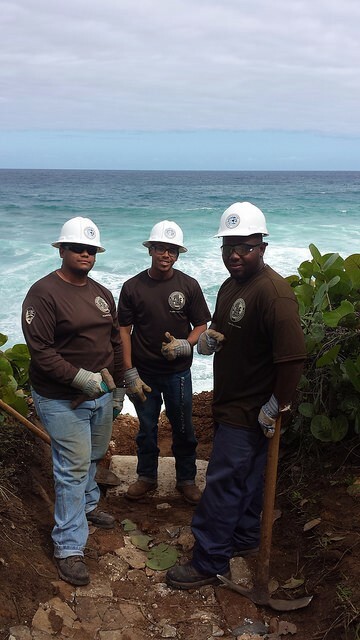 ACE Puerto Rico Conservation Corps (PRCC) has been busy building trails, and improving the existing trails, at San Juan National Historic Site. They have created several lookout areas as well as armored drains to prevent erosion. The crew has been learning quickly under the guidance of ACE Crew Leaders, Russ Lloyd and Maggie Hartney. 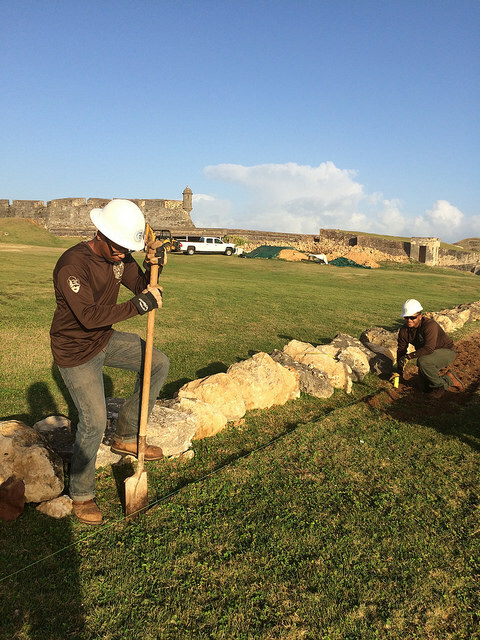 The crew also built smaller replica walls of those originally built by the Spanish inhabitants over 400 years ago. 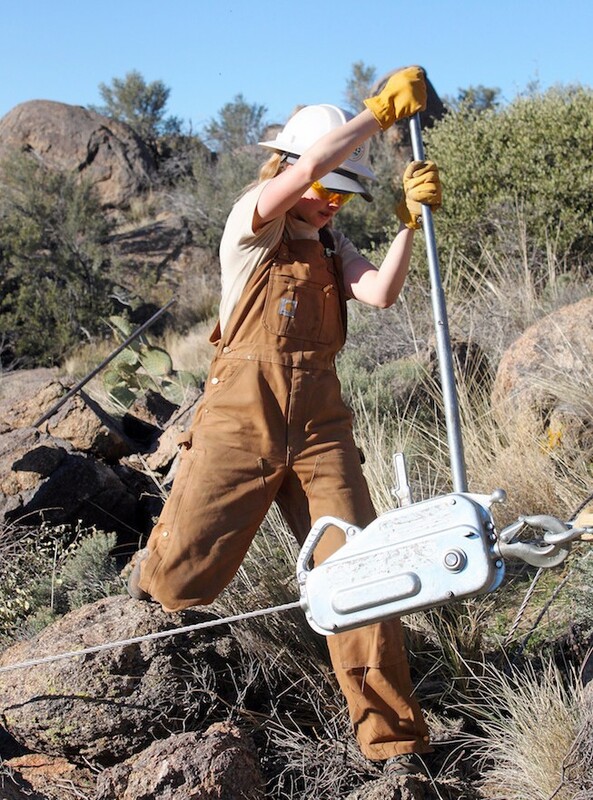 In the month of February, ACE began a new partnership with the Trails Program at Carolina Mountain Land Conservancy. CMLC operates a network of trails that crisscrosses the 14 mile long Hickory Nut Gorge and many of them need frequent maintenance to keep up with the volume of hiking in the area. ACE braved the winter temperatures and worked to rehabilitate a mile of the Marion Trail and constructed 1,000’ of new trail on the Bearwallow Trail during the month. The new partnership between ACE and CMLC has already begun to benefit the hiking community of western North Carolina and ACE is excited to continue working in the Hickory Nut Gorge in 2016. Our corps members and interns come from culturally diverse backgrounds across the United States and each has a unique story to tell. Common to all is a passion for our natural environment, and a desire to develop into a future land steward. 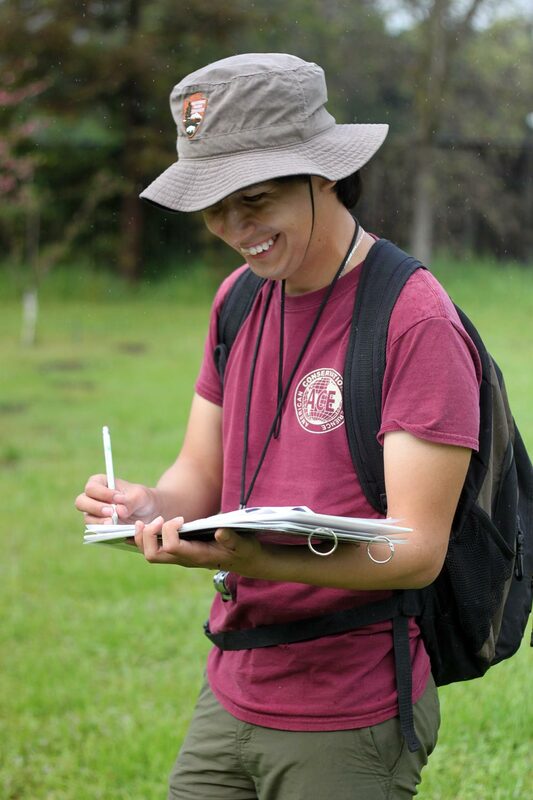 In our continued series #IamACE we introduce you to Cristobal Castaneda and ACE EPIC intern currently serving the National Park Service at the John Muir Historic Site in Martinez, California. 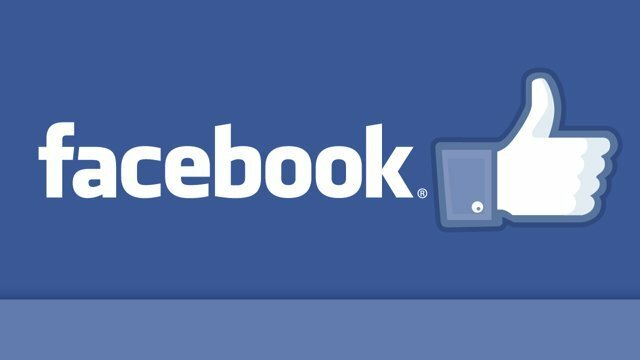 Facebook page and give us a Like! Visit our Job Board for jobs with ACE, government land management agencies, and non-profit organizations. and Asheville, North Carolina, ACE is a nationwide service organization that has projects from coast to coast. 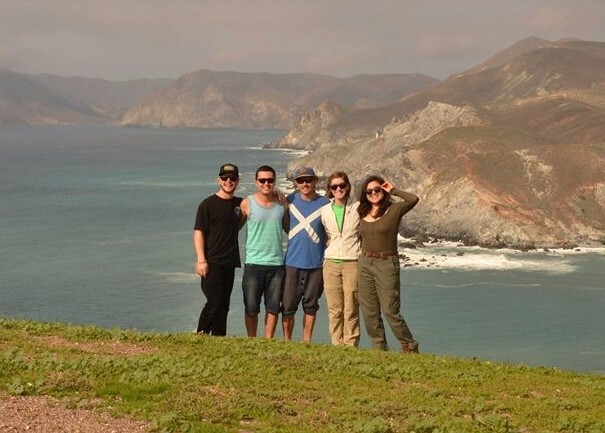 to see where our amazing corps members work. Are you looking for an exciting volunteering opportunity in conservation? ACE is a proud member of the 21CSC. 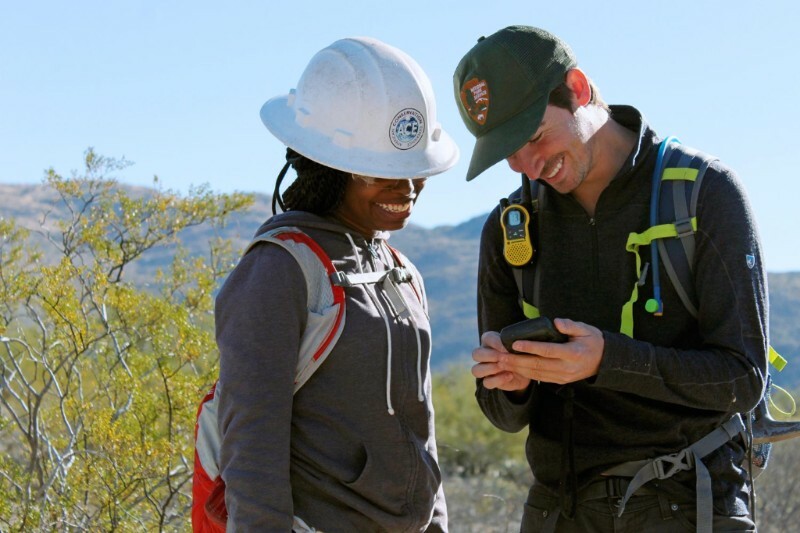 The 21st Century Conservation Service Corps is a bold national effort to put thousands of America’s young people and veterans to work protecting, restoring, and enhancing America’s great outdoors. ACE Alumni: Are you looking for career guidance and professional development tools? 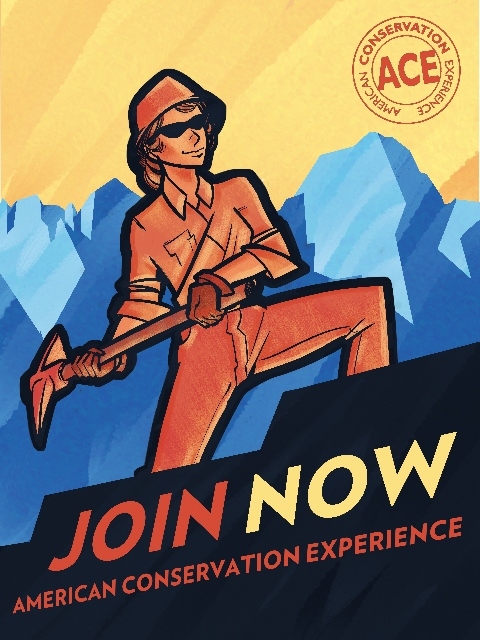 Check out the AmeriCorps Alums Website. They offer a wonderful resource in the form of monthly webinars. Copyright © 2016 | American Conservation Experience, ACEbook | All rights reserved.